When it comes to feeding toddlers and preschoolers, to say that it is an “adventure” is a bit of an understatement. The National Head Start Association provides early childhood education and nutrition opportunities to the children and families who participate in its programs. 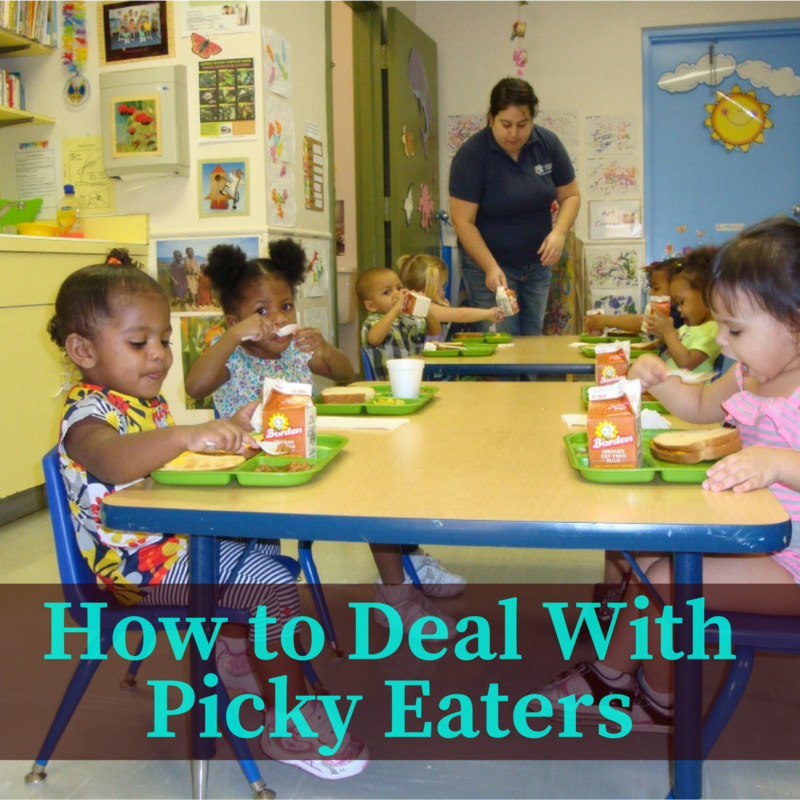 You might imagine that the teachers and care givers who work for the Head Start Program experience a lot of situations with picky eaters and kids who don’t want to try new things. Despite the drastic sequester budget cuts that administrators of the Head Start Program were forced to deal with in recent years, food purchasing for Head Start of quality and healthy food choices has always been a top priority. Through free services, such as the FoodSource Plus program, administrators are able to continue offering quality nutritional services, early education programs and other healthy opportunities to their communities. FoodSource Plus works with wholesale food suppliers to help programs within the National Head Start Association to save money and reduce their overall budget. Parents and care givers help to set the tone in the way that a child approaches food. Through working with wholesale food suppliers, the food purchasing for Head Start is able to offer many different fresh vegetables, fruits and other nutritious choices in an effort to improve the health and well-being of the children who participate in the program. A variety of foods also increases the amount of nutrients that children are able to get from the foods they eat, addressing choices from every single food group. Try something new every week. When you are food purchasing for Head Start, try adding some fresh veggies, new kinds of cheeses, whole-wheat pita bread with hummus or tropical fruits to the mix. These are all great choices that will help expand a child’s palette and expose him to new ideas in food. One way to increase the number of vegetables that your child eats in a day and to help him develop a taste for new foods is to add them to family favorites. Shredded carrots added to meat sauce for spaghetti are rarely noticed, yet increase vitamin potential. Other veggies can be added to soups and stews, creating a wider range of nutritional opportunities. It is important for children to learn about monitoring the amount of food that they eat at a meal to avoid bad habits like over-eating. Using smaller bowls, plates and cups can help. Smaller portions also allows children participating in the National Head Start Association programs at the local level to experience new foods without feeling overwhelmed. If they take a taste and decide they don’t like a food – that’s okay. This reduces food waste and pressure to eat things the child doesn’t like. The more that children participate in the process of making meals, the more likely they will be to try new foods. When purchasing foods from wholesale food suppliers, make sure to choose foods that will be easy for children to serve to themselves – and to others. Many children will try a new food and decide that they don’t like it because it is too hot or too cold for their liking. It might have nothing to do with the taste and everything to do with the experience. Make sure that the food you serve is just the right temperature and your toddler or preschooler will be more likely to give it a chance. Children who are served meals and snacks on a schedule are more likely to eat the right amount of food without over-eating. Plan out three meals and one to two snacks each day. Studies show that most toddlers and preschoolers do not eat enough at each main mealtime to sustain them until the next mealtime, especially when new foods are being introduced. Just make sure that the foods at each meal and snack work toward your child’s nutritional needs. Wholesale food suppliers can help keep programs under the National Head Start Association stocked with fresh fruits and veggies despite sequester budget cuts. One way to make sure that children aren’t being too pressured to eat new foods or develop bad eating habits is to schedule reasonable limits for the beginning and end of each meal or snack. In addition, once you notice that the child is no longer interested in the food before him, you can excuse him from the table. Try not to get in the habit of allowing your child to eat things like cookies or candy if they have not eaten the nutritional meal you have set before them. If your child is hungry between meals and snacks, make sure you give them a small healthy snack, such as a mini box of raisins. Contact our team at FoodSource Plus by calling toll-free 1-866-248-4520 to find out more about how the program works or to sign up for a FREE analysis of your current food purchasing for Head Start. We work with wholesale food suppliers who are pre-vetted and provide our clients under the National Head Start Association with the best possible prices and values for nutritional foods and supplies. Stay on top of those sequester budget cuts by reducing your costs year-round. FoodSource Plus helps clients save between 10-35 percent annually on their food purchasing for Head Start.